Represent the data using an awesome Data Tables Generator plugin and try how it is easy and friendly to use the Online Table Builder. You can create unlimited, paginated, sortable and searchable data tables and show them on your website using a shortcode. Tables and charts are created mostly by clicking – with no coding. Sure, nobody likes complicated ugly user interface for building the tables. That’s why we spent a lot of time creating the simple, user – friendly Table Builder, that will give you peace of mind to use it. 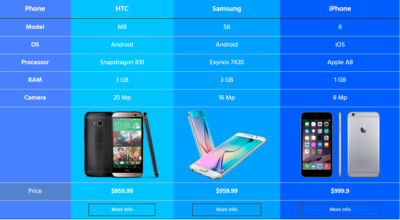 Make your Data Tables RESPONSIVE, that can be used on any devices. We have integrated “A” modern DESIGN to the table. If the design of the table is not nice, why do you expect your data to be attractive? Moreover, use images, video, links. Data Tables can be made EDITABLE. There are lots of options to hand, have a look at advantages it gives you. Each Data Table can be used as a data source for creating DIAGRAMS & CHART. 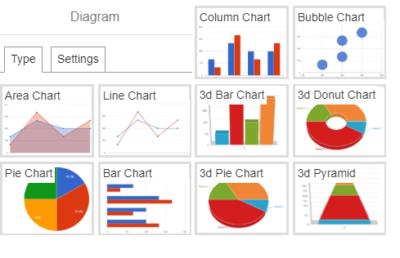 Different types of data require different chart type, and Data Table Generator contains all chart types you could need. and be sure, that users will find all necessary info in one click. We know that every user has different needs. Data Table Generator is extensible and flexible. We update our plugin with new features all the time. It is very fast and secure. Your data will always be portable and safe. We created this plugin following the latest security and WordPress Coding standard. 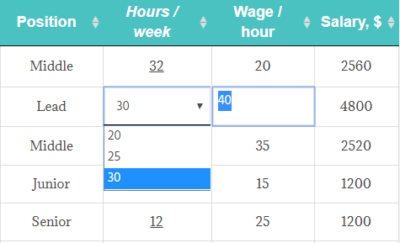 So, why not to try and make sure personally how this plugin can make your life easier, creating a powerful Data Table?